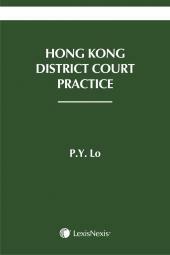 Disciplinary and Regulatory Proceedings in Hong Kong was the first book of its kind, and is a leading reference for anyone wishing to research and understand Hong Kong’s law relating to disciplinary proceedings. Since the last edition in 2015, the law in disciplinary and regulatory action has developed some new trends and some new grounds, notably in the area of preliminary investigation and decision to prosecute, misconduct in public office, changes in modus in operations such as forming of limited companies to operate group practice, the more emphasis in a gradual shifting in standards of conduct due to changing background such as the #metoo movement, and new developments elsewhere in particular in the UK. Andrew practises mainly in commercial and property litigation. He has appeared regularly in trials and appeals in the High Court. Before 1997 he was led to appear in the Privy Council case of Silver Mountain Investments Ltd v Attorney General of Hong Kong  1 WLR 925. He is also active in international commercial arbitration and mediation both in Hong Kong and in Mainland PRC. 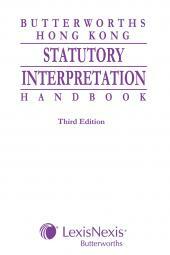 He has sat as Chief Arbitrator in the Shenzhen Court of International Arbitration. He is a member of panels of arbitrators, including the Hong Kong International Arbitration Centre (HKIAC), Shenzhen (SAIC), Panel of Arbitrators of SCIA Financial Arbitration Centre, Shanghai (SHIAC), Jinan Arbitration Commission, Tianjin Arbitration Commission, Nanjing Arbitration Commission and Malaysia (KLRCA). He is also a Chinese legal consultant of the PRC in Shanghai. His legal opinion has been accepted by the PRC courts. He gives lectures at the Peking University, the East China University of Politics and Law (formerly the St John University), and the Shanghai University of Finance and Economics. He has written on a number of professional works including injunctions, disciplinary & regulatory proceedings, and also administrative law. 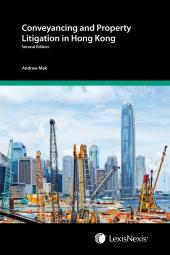 These include “Law of Injunction in Hong Kong” 2nd Ed, (2018), Conveyancing Litigation in Hong Kong (2017), Disciplinary & Regulatory Proceedings in Hong Kong, 2nd Ed, (2015), and as contributor to Halsbury‘s Laws of Hong Kong Vol 1 Administrative Law, 2nd Ed (2014), Atkin's Court Forms Hong Kong (looseleaf) Administrative Law, Administrative Appeals Board Ordinance (Annotated), Emden’s Construction Law in Hong Kong Chapter 10, Butterworths Hong Kong Building Law Handbook 4th Ed.